Today is Chinese New Year and 2013 is the year of the Snake. This afternoons craft session was all inspired by this celebration. 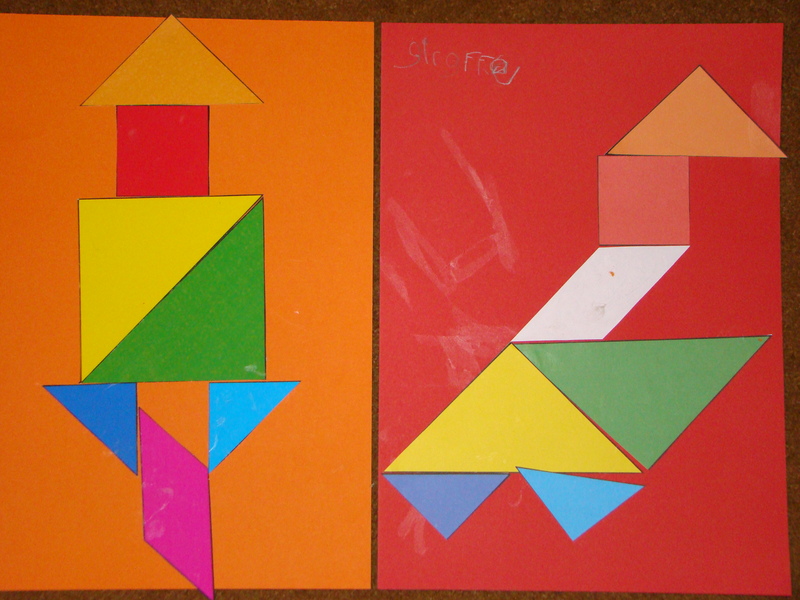 After the Tangram pictures we made very simple snake sock puppets. I got 3 old socks, cut out a tongue for each and stuck it on with glue stick. 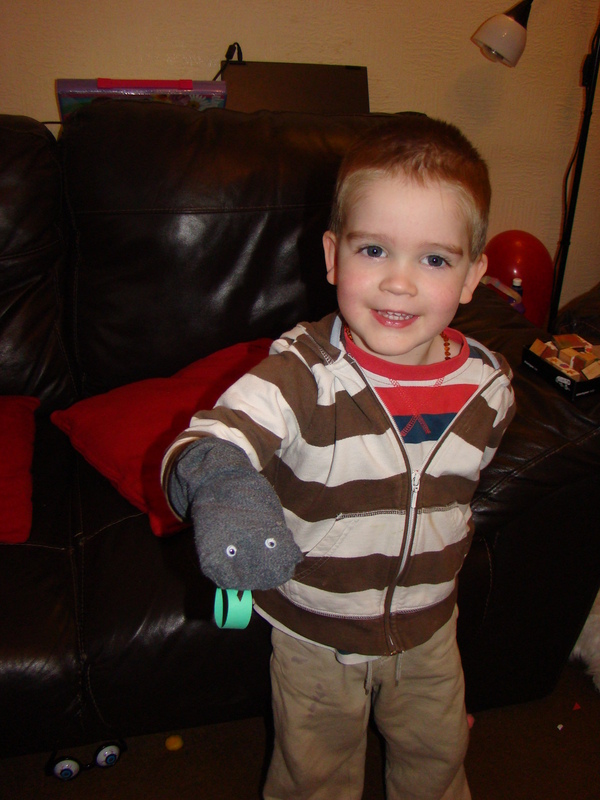 We then used googly eyes to complete the puppets. These have been very well played with this afternoon! Finally we made Chinese Paper Lanterns. I love making these and do them every year with the kids. Take a piece of coloured card (I use A4 size) and mark out lines, approximately 2cm apart going across the width of the card. 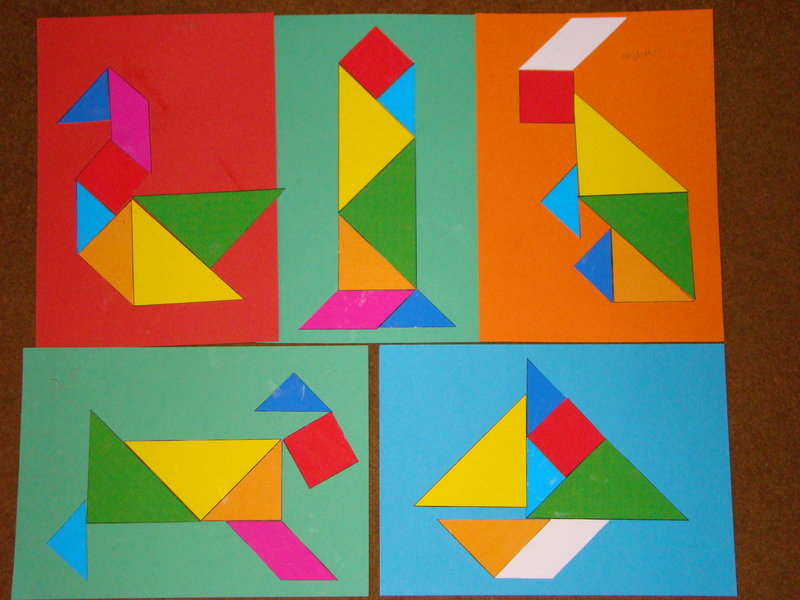 Fold the card in half, then unfold and score the marked lines carefully, leaving 3cm uncut top and bottom. 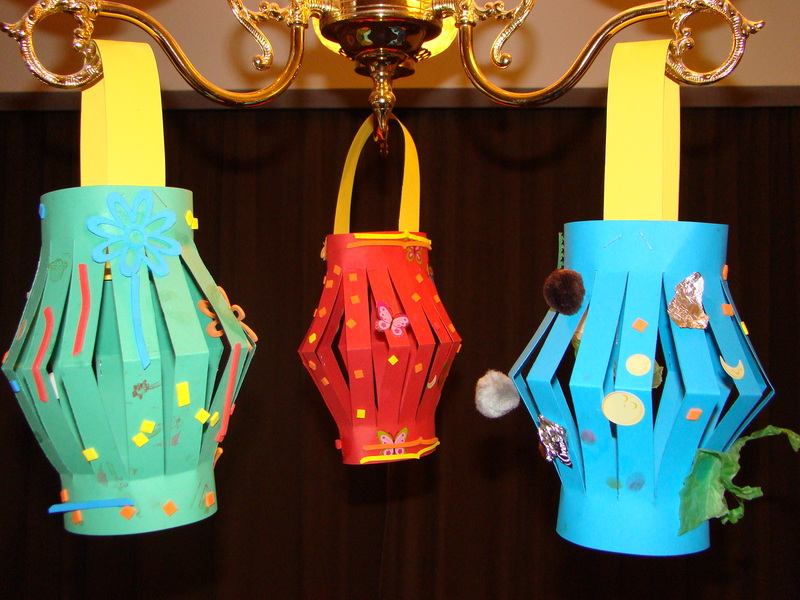 Decorate, then add a handle to hang up your Chinese Lantern.